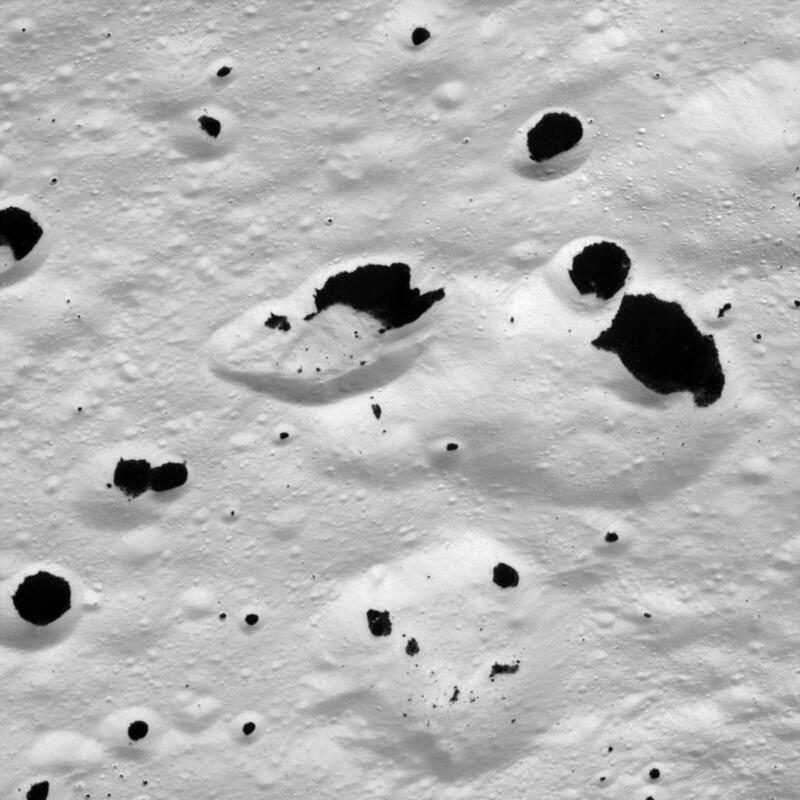 Dark material splatters the walls and floors of craters in the surreal, frozen wastelands of Iapetus. 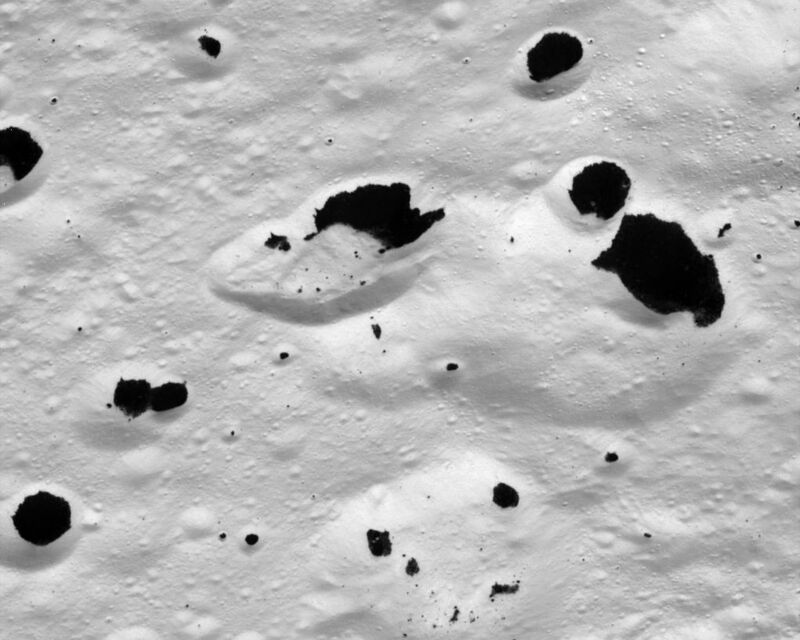 This image shows terrain in the transition region between the moon's dark leading hemisphere and its bright trailing hemisphere. 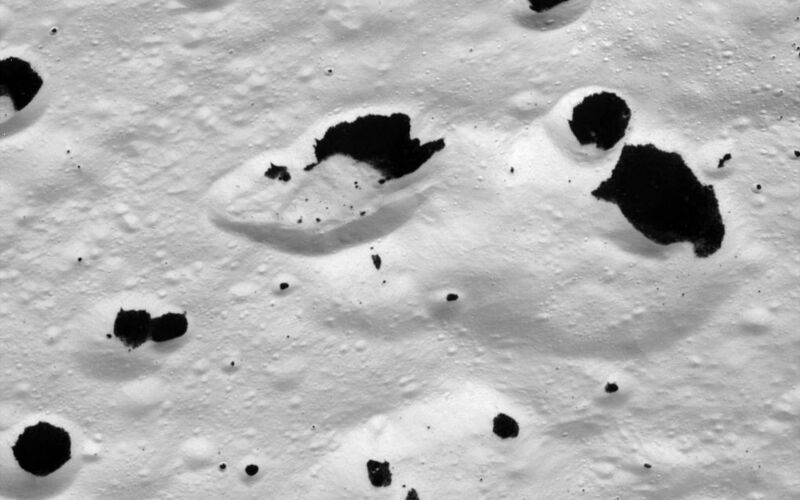 The view was acquired during Cassini's only close flyby of the two-toned Saturn moon. 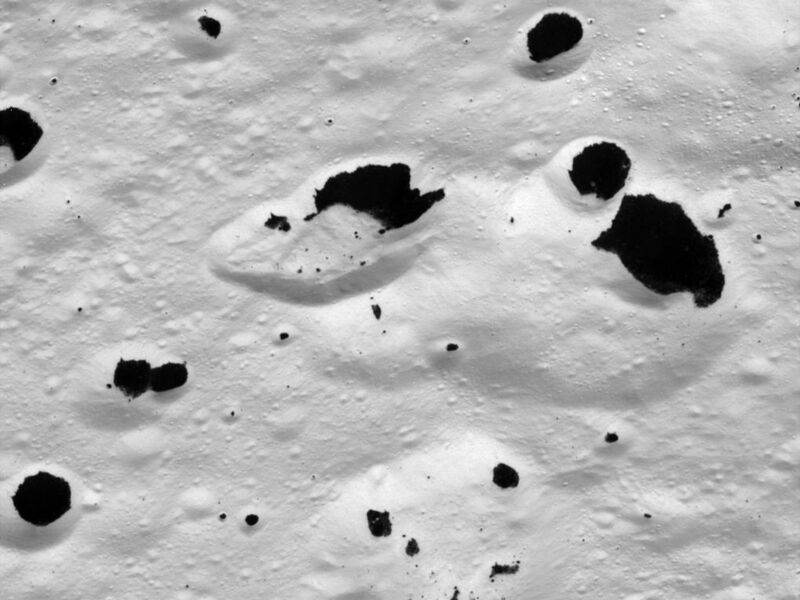 The image was taken on Sept. 10, 2007, with the Cassini spacecraft narrow-angle camera at a distance of approximately 6,030 kilometers (3,750 miles) from Iapetus. Image scale is 36 meters (118 feet) per pixel.